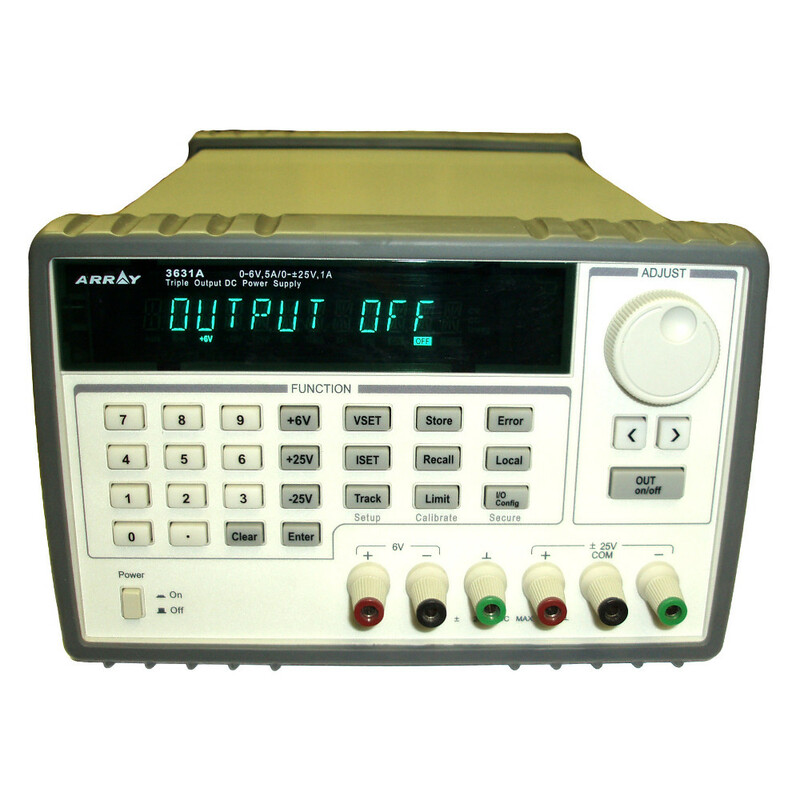 The ARRAY Triple Output DC Bench Power Supply provides stable and reliable DC power. This bench power supply meets the high standard requirements of engineers, scientists, and R & D labs. The ARRAY 3631A includes two tracking 25VDC outputs which are both referenced to a floating common. An additional isolated 6 volt channel is also provided. The ARRAY 3631A features enhanced remote control capabilities with industry standard SCPI commands. USB & RS-232 interface are both standard ( an expensive upgrade on the Agilent E3631A) Front panel controls include a numerical keypad and a multi-turn rotary knob for quick and precise adjustments of this bench power supplies outputs. Low noise, exacting regulation, robust construction makes this an excellent choice for high level design and test requirements. Compare our unit to the Agilent E3631A and see how comparable the specs are for a lot less money! The 3631A also provides USB capabilities where it is not even optional on the Agilent unit.